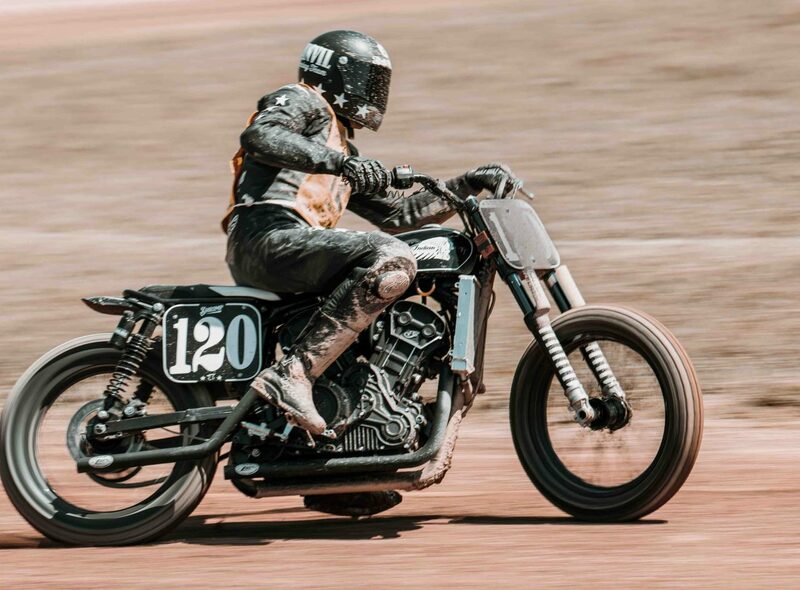 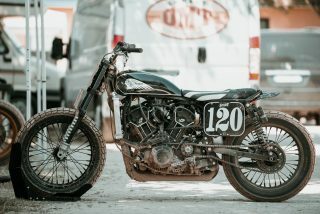 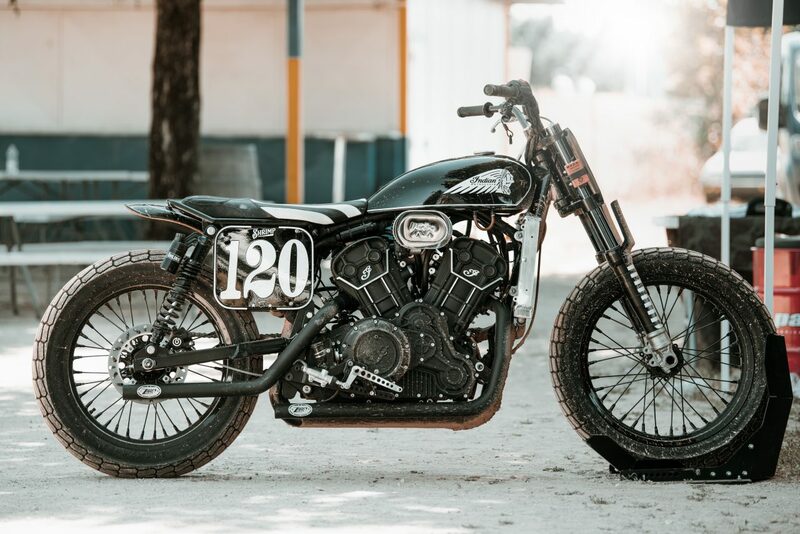 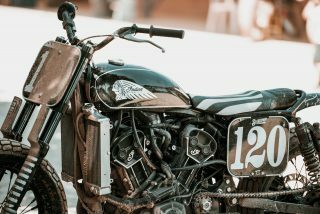 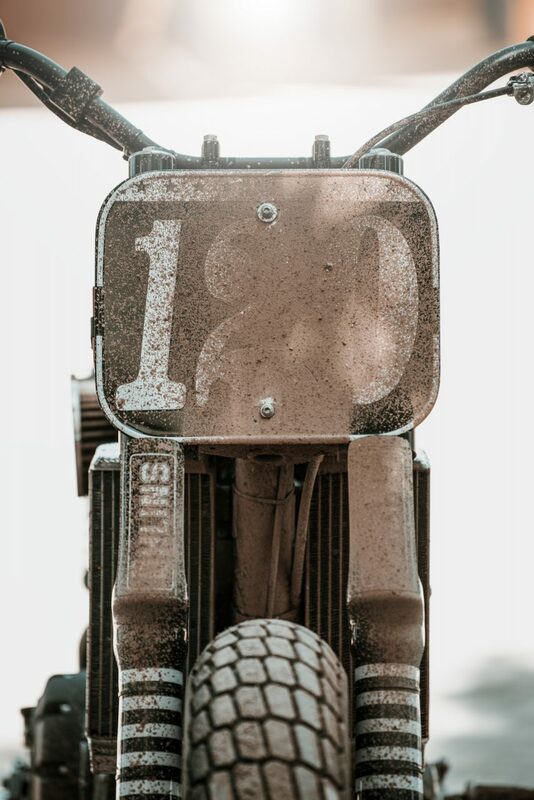 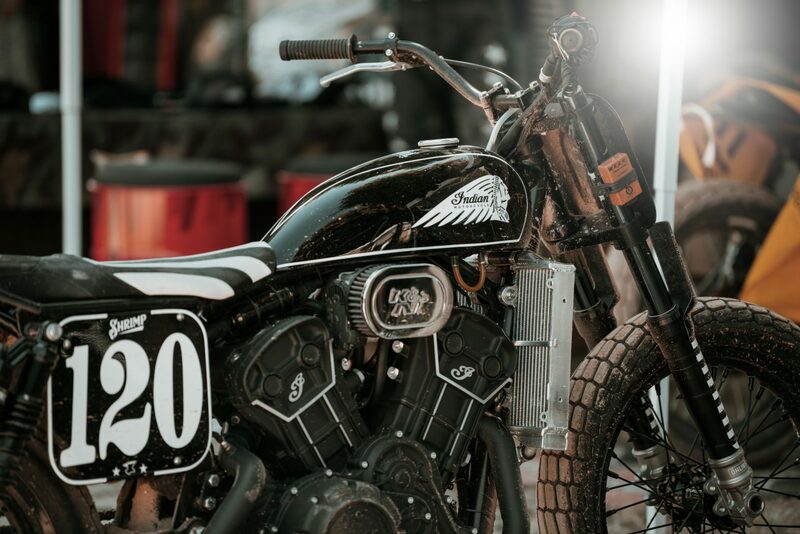 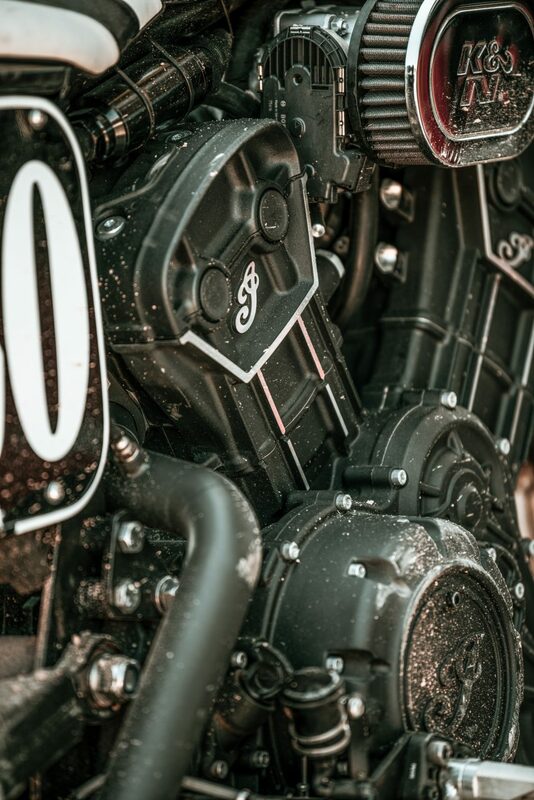 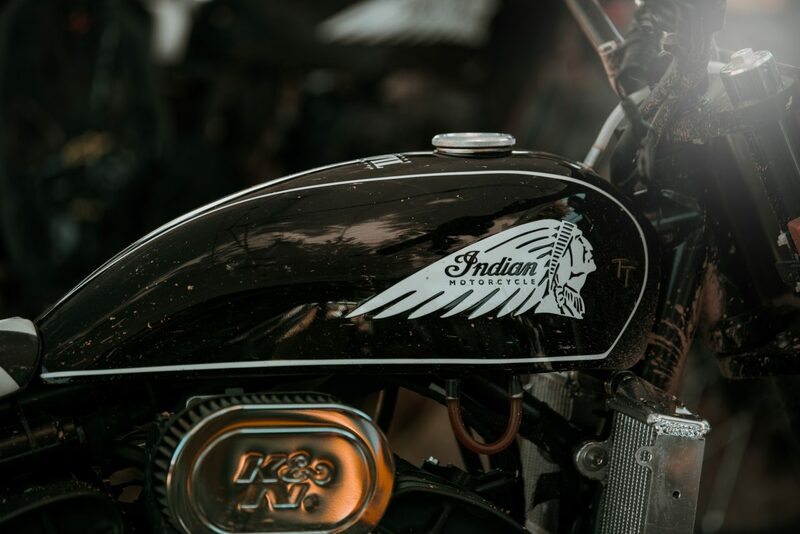 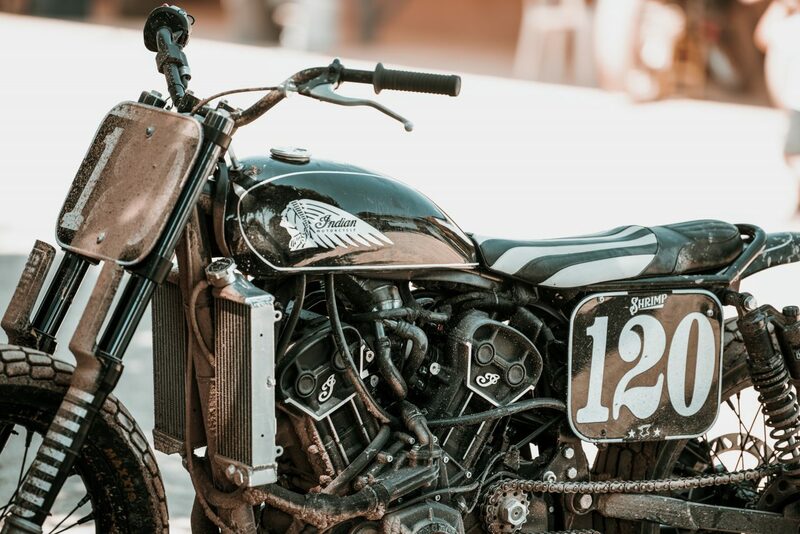 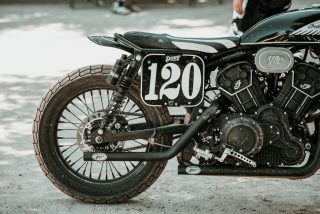 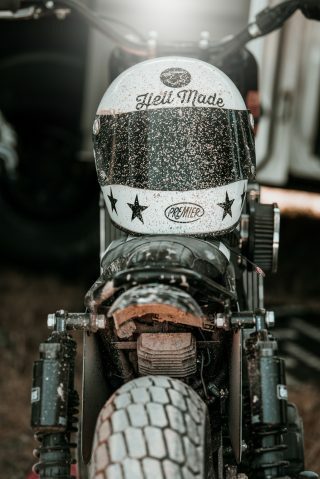 ITALY – Shrimp, the tracker bike built Anvil Motociclette and based on an Indian Scout Sixty went back into action at the weekend winning at the ‘Over The Top’ event in Italy. 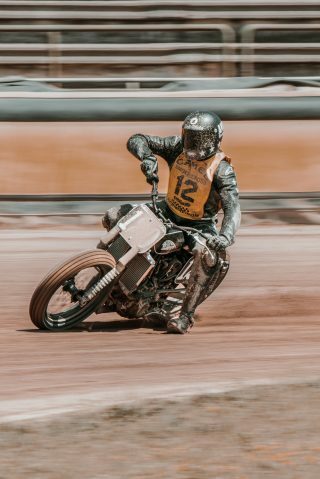 On Sunday 8th July at the Speedway Circuit in Lonigo (Italy), the champion flat track rider, Vittorio Emanuele Marzotto, rode Shrimp in the HOMICYCLE race, which this year had a sci-fi theme. 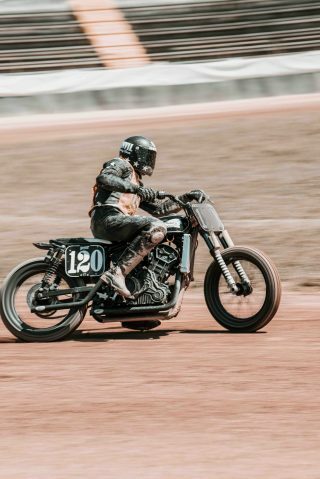 Marzotto and Shrimp made their debut race at El Rollo, in Biarritz, during Wheels and Waves and the tracker underwent some changes to for the Lonigo racetrack, which has a different length and soil composition to El Rollo. ‘Over the Top’ started with practice sessions on the Saturday afternoon and on the Sunday morning. 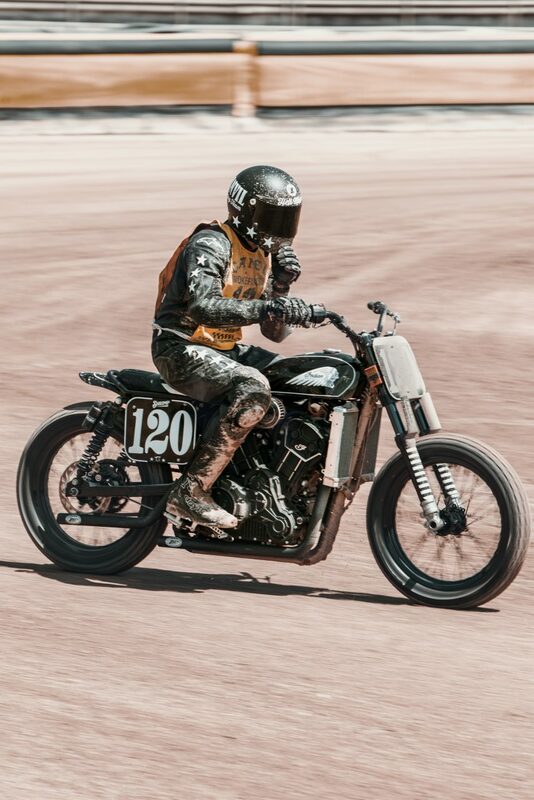 In the time between, Marzotto captured the attention of the public with his talent and the sound of Shrimp; thanks to some newly fitted DB-Killer exhausts. 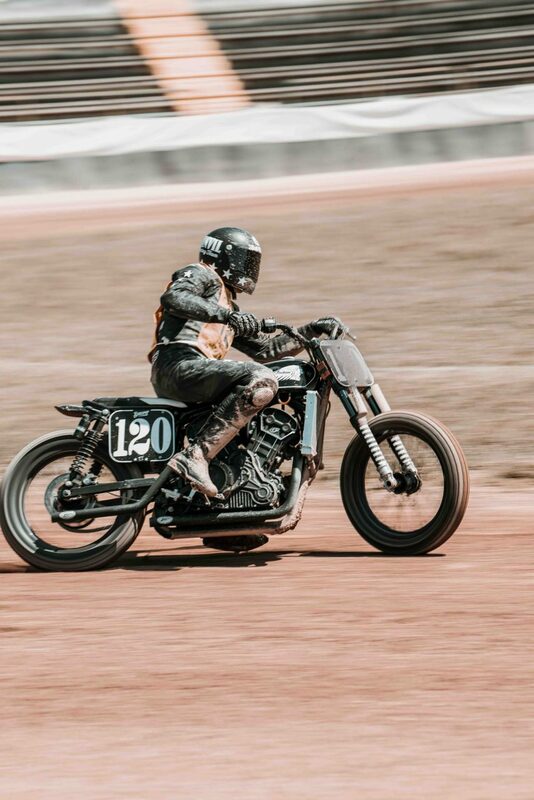 The race started at 2pm with 32 riders in four categories. Marzotto rode Shrimp in the Top Twin category for bikes ‘750cc and above’. 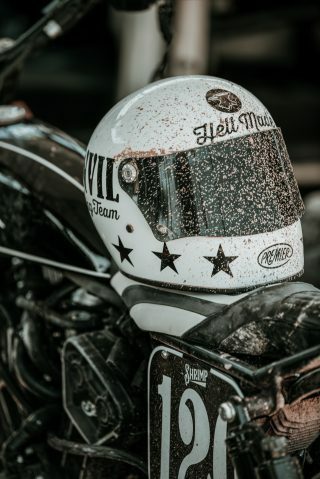 He won twice in three rounds, ranking 1st overall. 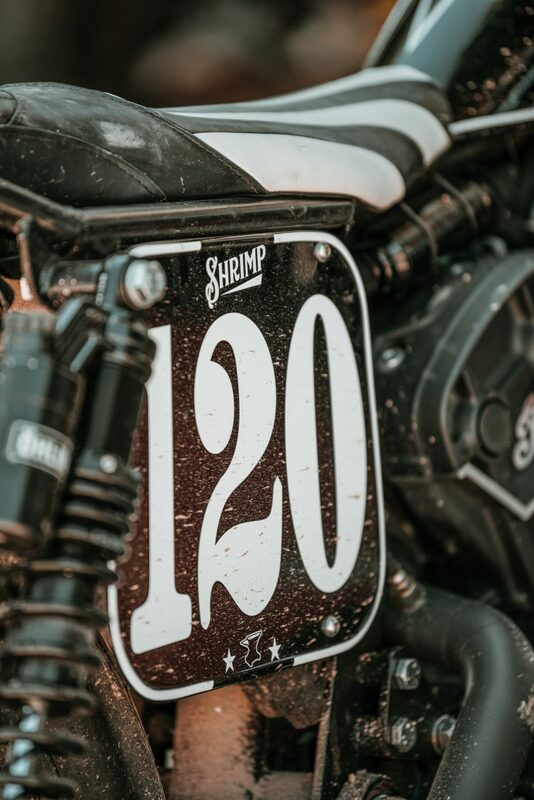 Shrimp was built from the ground up to race on the flat track. 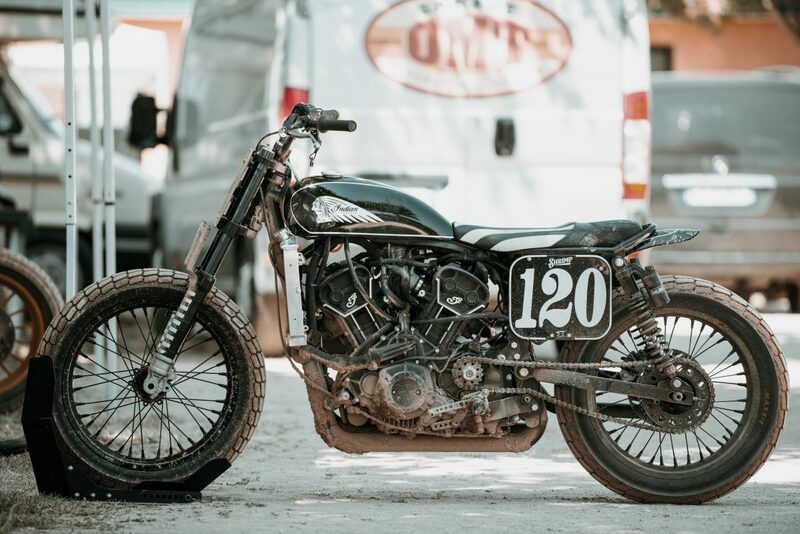 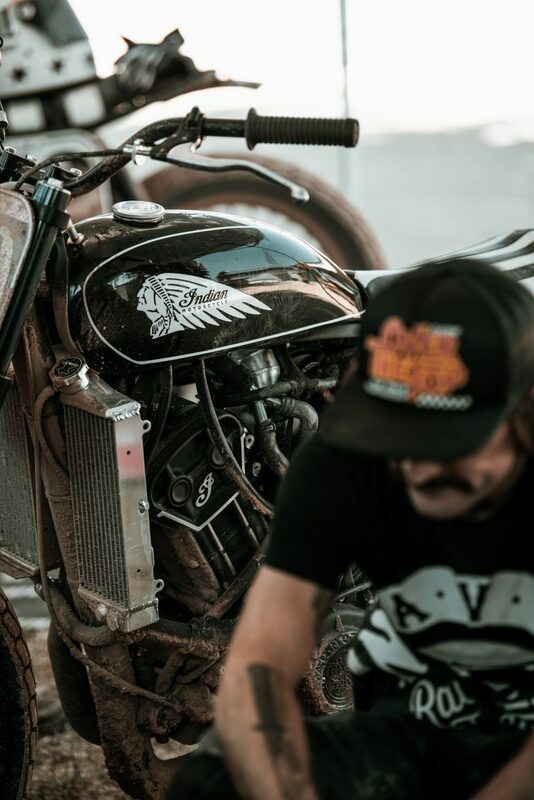 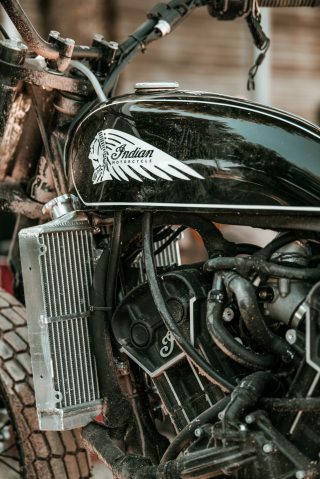 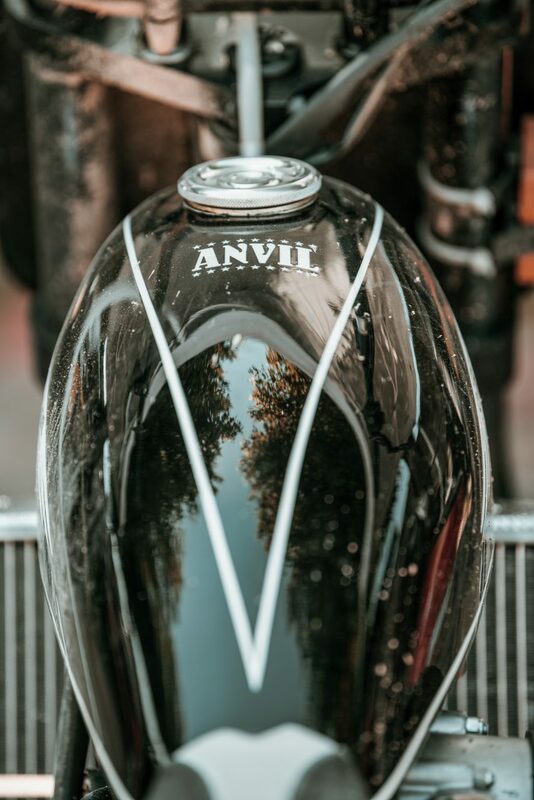 Marco and Phonz from Anvil stripped the V-twin out of the Indian Scout Sixty and mounted it in a frame with optimised geometry for flat track racing; this was handbuilt by mechanics at the Anvil HQ near Milan. 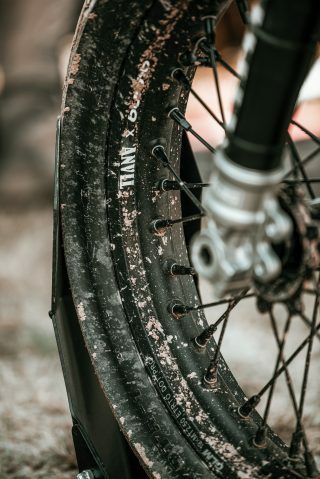 All of the other components fitted are from high-end brands; twin rear shocks by Ohlins that allow for wheelbase changes, front Ohlins forks (in black of course) and a set of spoked rims provided by Alpina Raggi. Other additions include a K&N air filter to keep the flat track dust out, a set of twin radiators (similar to what you see on the FTR750 bike) and a black exhaust, built in association with Zard, along with a clutch by Newfren and brakes by Brembo. 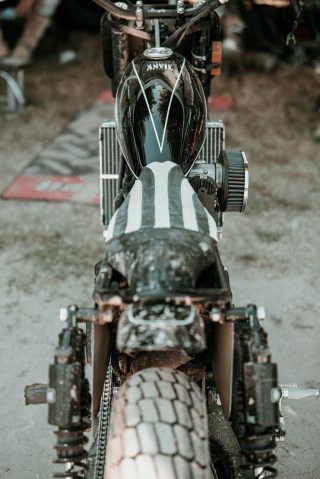 Other parts were by Rizoma and Ariete (plastic accessories). 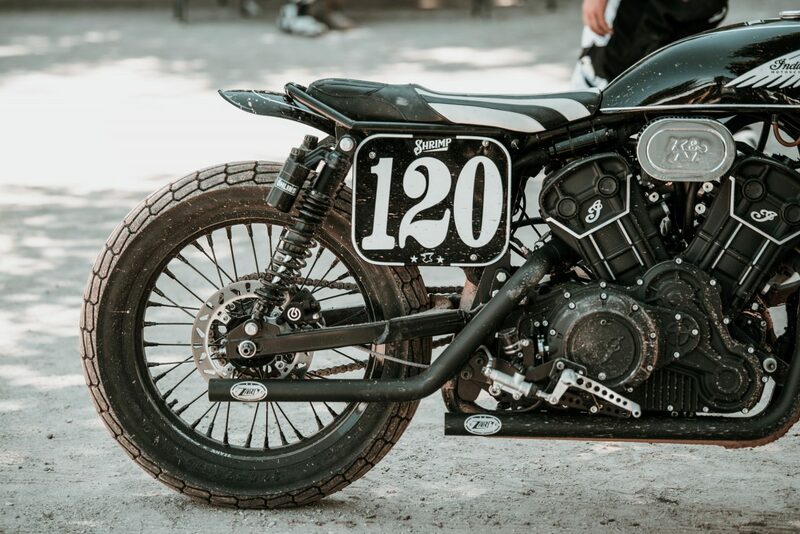 Number boards with ‘120′ on them, representing the 120 years since the birth of Albert ‘Shrimp’ Burns and a black and white stripped leather seat finish off the look. 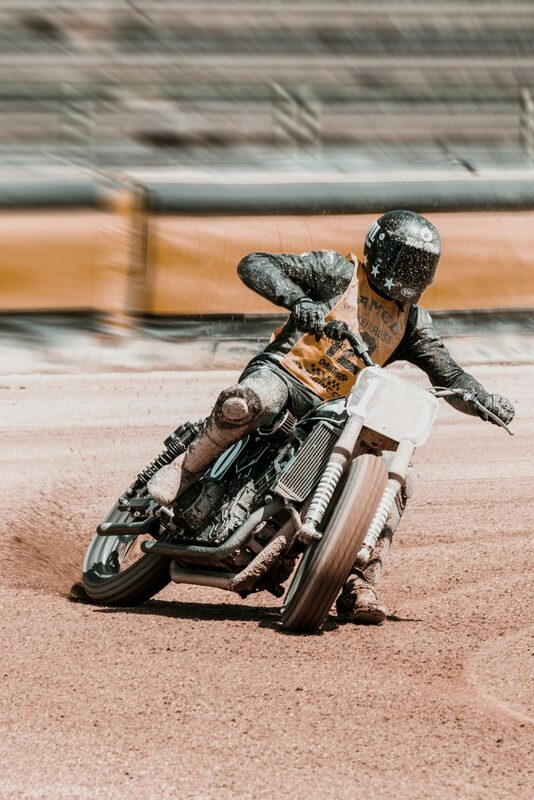 The Italian audience really enjoyed the show that Marzotto gave with the Shrimp, thanks to his spectacular riding style. 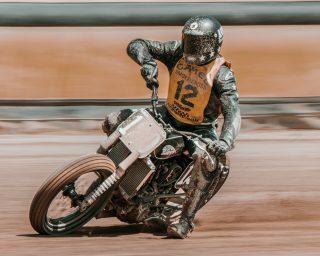 The next ‘Over the Top’ Flat Track Championship race is called “ELIMINATOR” and will be held on September 2nd, back at the Speedway Circuit in Lonigo. 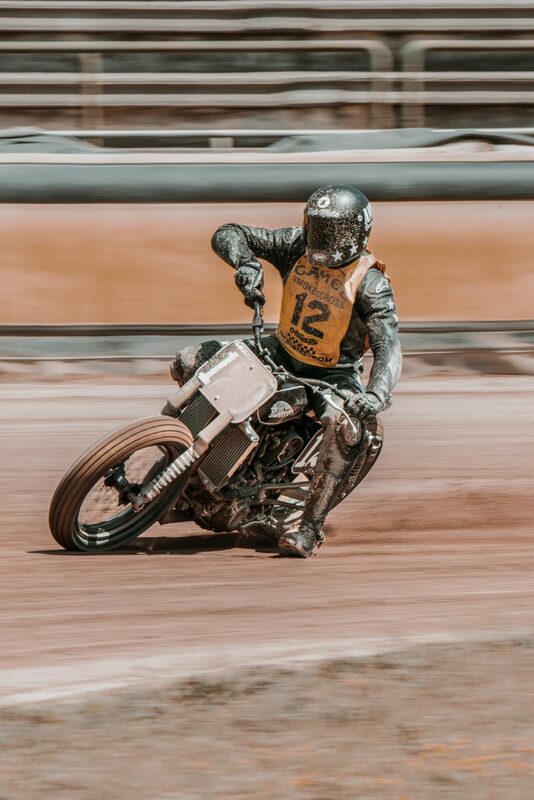 However, Shrimp is next going to be on the racetrack from July 19th to 22nd at the Motorbeach Festival, Playa de la Espasa in Spain. Please give photo credit to Simone De Ranieri.